Do not allow solid film lubricant to flow into front sight post threaded well. (e) Apply solid film lubricant to cover the damaged finish. 3. Slightly bent barrels may be straightened as follows. (a) Check straightness using straightness gage (3) 8448202 (p 3-37). If the barrel fails the straightness test, and the gage remains in the barrel in the area of the front sight, perform step (b) to determine if it may be straightened. 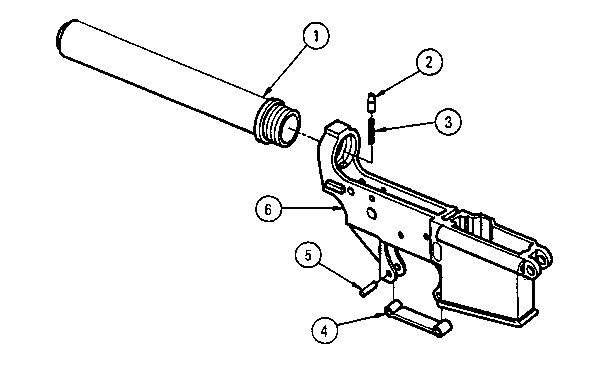 (b) With the gage remaining in the bore, hold the rifle in a vertical position with the end of the barrel into which the gage was inserted pointing up. Insure that if/when the gage passes through the barrel it will not be damaged. Using hand pressure ONLY, flex the portion of the barrel between the front sight and the flash suppressor in all four directions (left, right, forward and back). 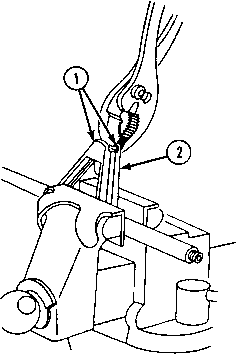 If the barrel is only slightly bent, the gage will drop through when the barrel is flexed in one of these directions. Note the direction which allowed the gage to drop through the barrel.